The Deluxe Inflatable Shampoo Basin is an excellent no-splash solution for washing your hair in bed. It features a double-tube design that prevents water from splashing. 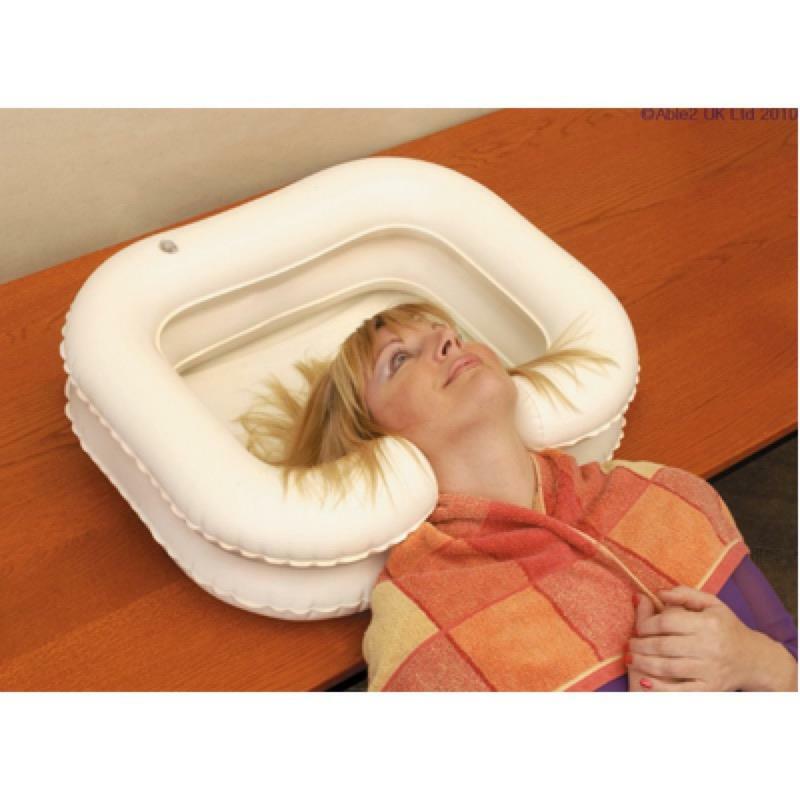 It fits snuggly around your head and allows for easy shampooing. It includes a 1190 mm (47") drain hose and is made from durable vinyl.